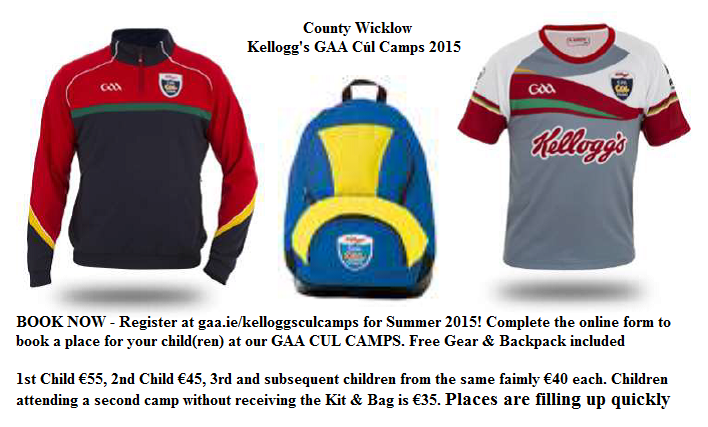 Wicklow Kellogg’s GAA Cúl Camps 2015 is fast approaching, to register go to kelloggsculcamps complete the online form to book a place for your child(ren). 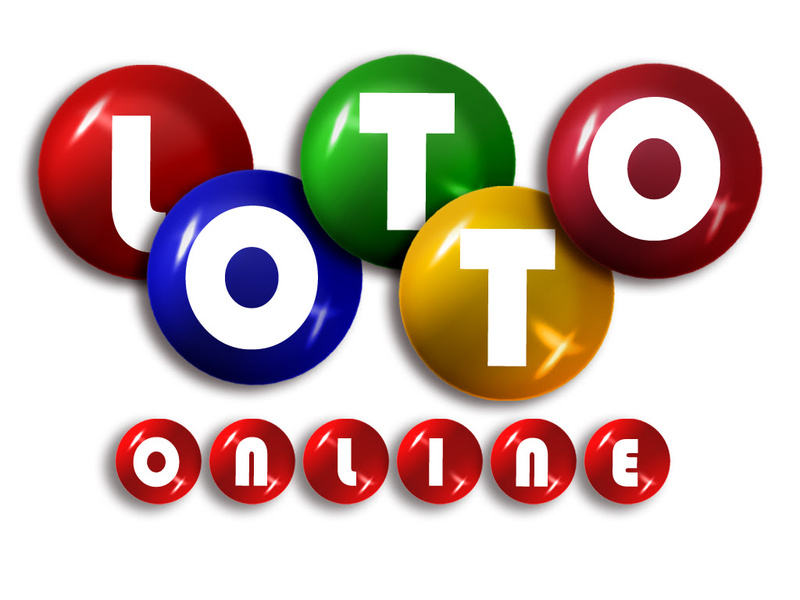 Great Value, Great Gear and for 5 days from 10am – 2.30pm daily. 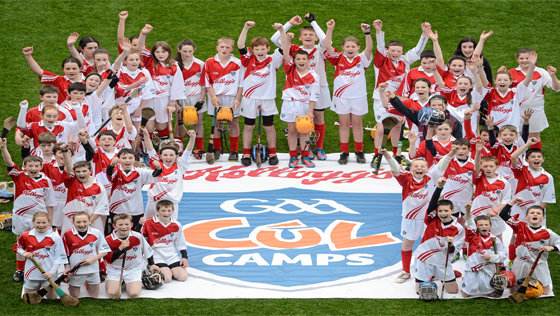 Its open to all primary school children from 6 to 13 years of age. 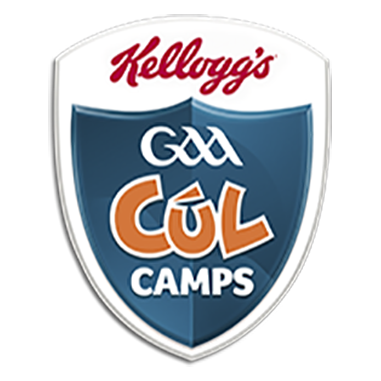 Don’t delay, Don’t be disappointed BOOK NOW! 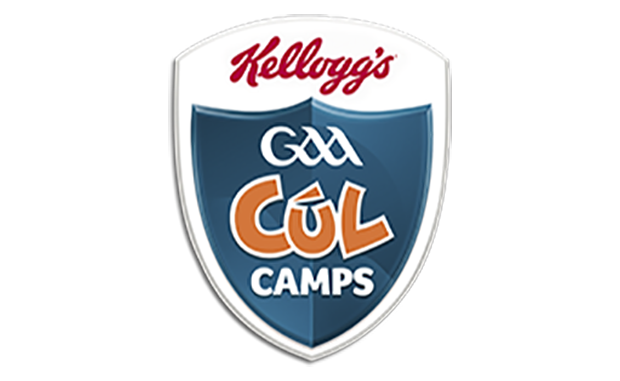 There is a restriction in place this year on the amount of booking on the day for all Cúl camps. 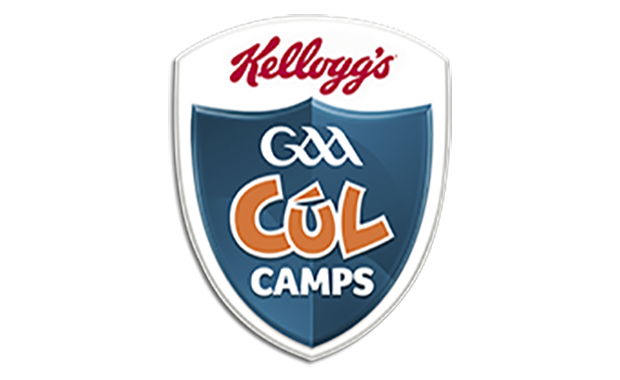 Please note: It is also really important for everyone interested, to book online as soon as possible to show the organisers that we have enough kids to run a Cul camp for our Club this year.